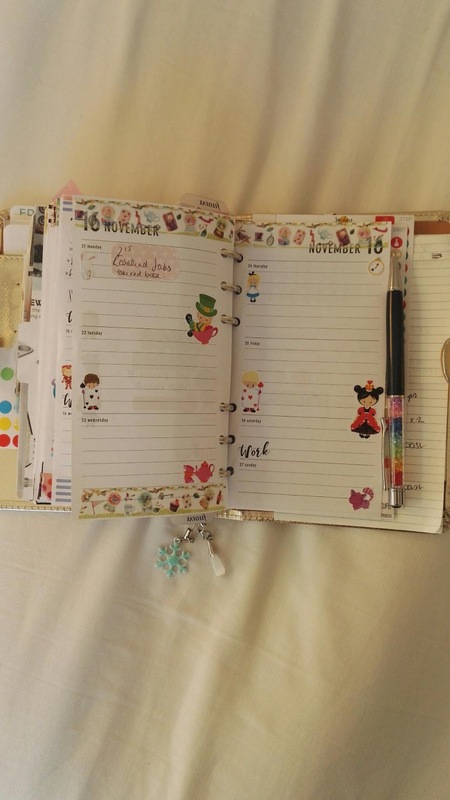 Next week is my last week where my planner is non festive. I've gone for an Alice in Wonderland theme and as you can see, Monday I will be going down the rabbit hole when little Miss has her (belated) one year immunisations. I'm dreading it. We already have rubbish sleep from this one! !